Ultra HD Blu-ray movies ultilize very strict encryption algorithms that make many users annoyed by the inability to back up their favorite movies. Now let me explain how to back up UHD Blu-ray movies. A blank BD-R DL (BD-XL) disc. Some drives that can be used to read UHD Blu-ray movies, but are not friendly, which means that they are not what we need because our software can’t work with it. Make sure your drive name is in the list of UHD friendly drive. Therefore, in order to copy UHD Blu-ray movies, you must use a friendly drive. Looking for an UHD drive is not an easy task. Because some of the friendly drives which originally work are not supported any more due to firmware upgrades. There is a firmware downgrade solution that might solve this problem see how to downgrade firmware. If you’re having trouble with the technology operation above, Plug and Play UHD friendly drive- CA-BW-16D1HT or Plug and Play UHD friendly drive- CA-BC-12D2HT are highly recommended. 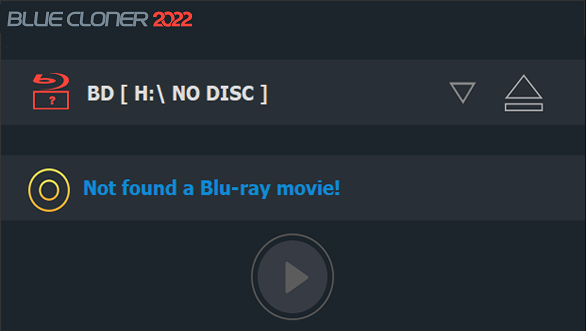 Please do not insert the UHD Blu-ray disc you want to copy into your drive before launching Blue-Cloner. 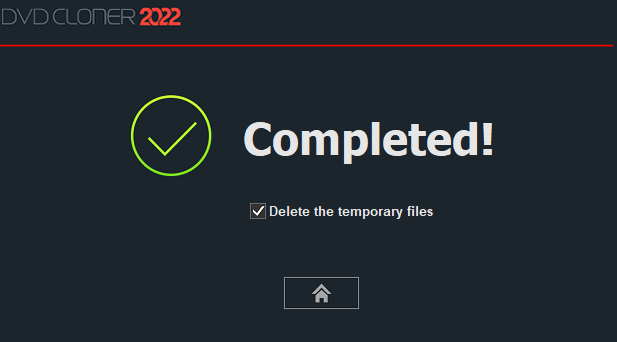 If you insert the disc into the drive a few minutes before launching the program, most of the friendly drives would be going into standby mode and then it will not read the disc anymore. The easiest way is to eject and insert the disc again. There will be a solution for this in the near future. When Blue-Cloner starts, you’ll see the following interface (if you can’t see it, click the “Switch to Express interface” icon at the top right). Just click the “Start” button to go on. After the copy starts, Blue-Cloner will first cache the entire disc data to the hard disk, and then compress it to fit a BD-50 size. Therefore, you need at least 150GB free space on your hard disk. This is very worthwhile because compressing UHD is time consuming, and using the UHD drive too much will shorten its life. After the copying process starts, if the progress bar has been stuck in 0% position and the Blu-ray drive clicks “ka, ka” sound, it is indicating that the Blu-ray drive has fallen into the sleep mode. 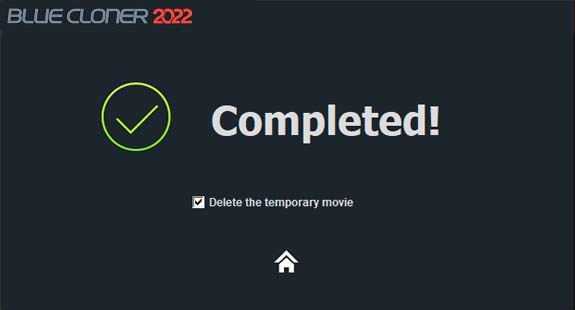 You have to cancel the process and reload the Blu-ray disc. And then restart the process. This process takes about 1 hour. When caching process is completed. 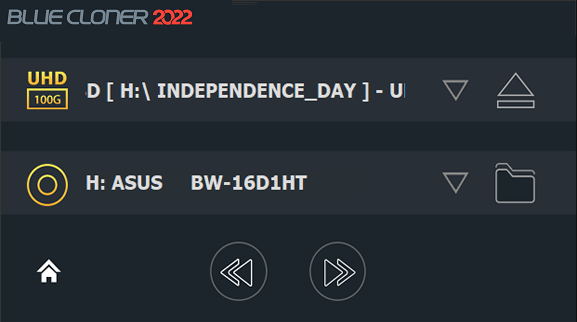 Blue-Cloner will start to compress the UHD disc data. This process takes about 18 ~ 28 hours (The required time depends on the setting in “Set the encoding Speed”). Since UHD discs use 12-bit HEVC encoding, so compression is time consuming. Please wait patiently. If you want to copy in a faster way, please burn it to a BD-XL disc in 1:1 mode which only needs 2 hours. When the encoding is completed, you need to insert a blank disc to burn. The copy process is now completed. Run DVD-Cloner. By default you’ll see the Express window. 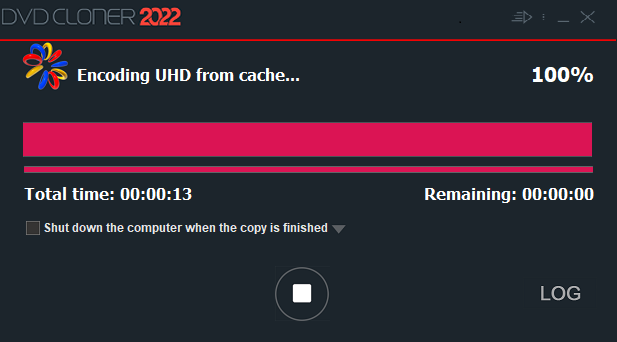 When the DVD-Cloner recognized the UHD disc, it will display the following interface. If your cannot see the UHD disc’s volume label, then your drive may not be a valid friendly drive. Click on “COPY TO BD50” to start the copy process. DVD-Cloner will copy the UHD to the BD-R DL disc in movie-only mode. 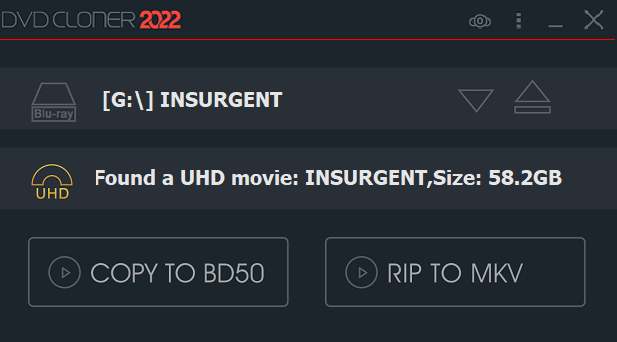 You can also choose ‘RIP TO MKV’ to rip UHD to an MKV file. By default, the ripping process will recompress the video to H.264 (which can be changed to H.265 in “Setup”) and copy all audio tracks and subtitles. 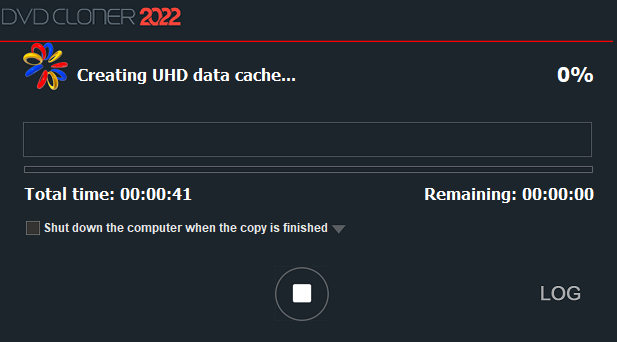 DVD-Cloner will first cache the entire contents of the UHD to the hard disk. When caching is finished, DVD-Cloner will re-encode H.265. This will take 10 ~ 16 hours. 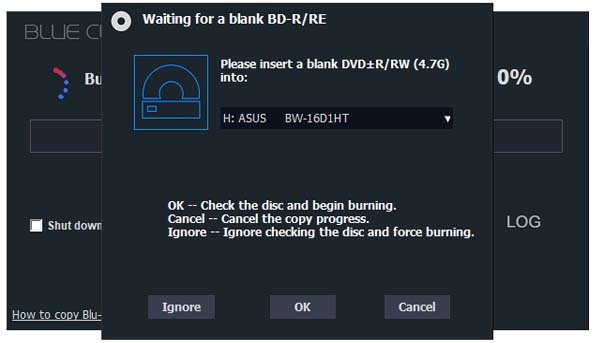 When encoding is finished, you need to insert the prepared BD-R DL blank disc. 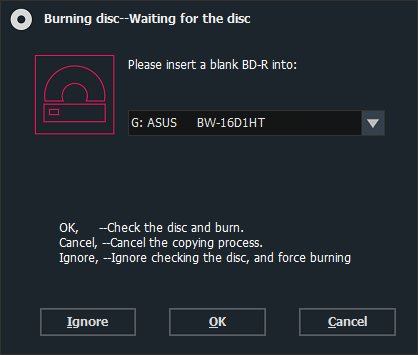 (If you have already placed a blank disc in another burner, this window will not appear again). Please put the BD-R DL disc and click ‘OK’. The burn process will start. Please wait the burning process to complete. When all tasks are completed, you’ll see the finish window. Need to use a friendly drive? If this prompt appears, it means you are not using a supported friendly drive, and it may be an AACS2.0 optical drive, which is not currently supported by OpenCloner. Please use a friendly drive and try again. DVD-Cloner could’t decrypt this Blu-ray move now? Please don’t worry, some new movies may be supported in a few days. Please try again later.